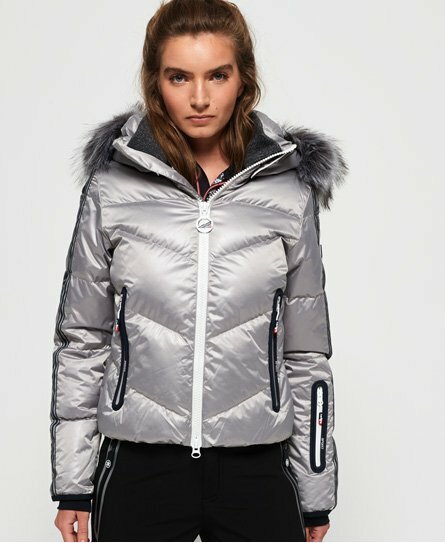 Superdry women's SD Glacier Ski Down jacket. 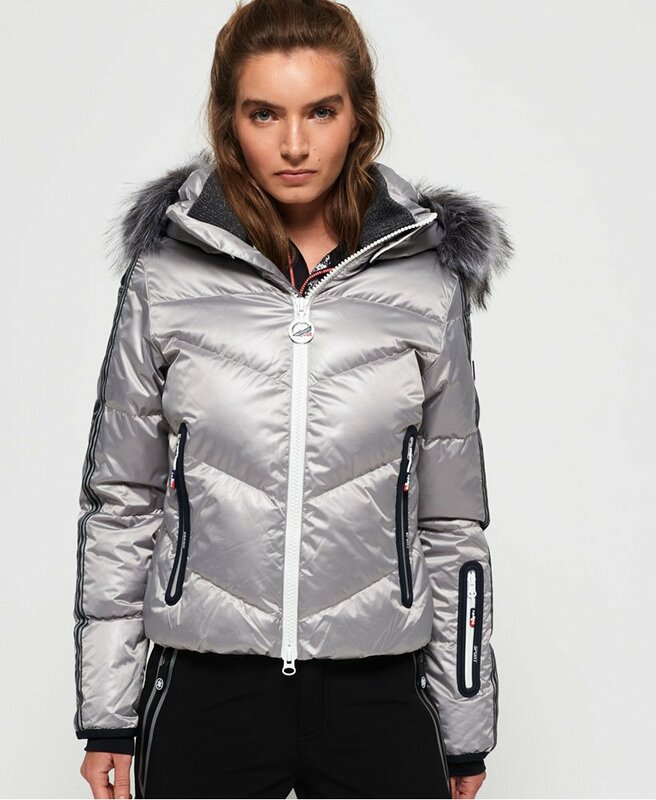 Tear up the slopes in style with the SD Glacier Down Ski jacket, featuring a 90/10 premium duck down filling and a very high fill power rating, a detachable hood with removable faux fur trim and double layer collar for extra protection against the cold. The jacket also features two zip fastened front pockets, zip detailing on the cuffs and a ski pass holder on the arm. Inside, the jacket has a zipped inside pocket and snow skirt, great for keeping the snow out and the warmth in. The SD Glacier Down Ski jacket is completed with stripe detailing down the sleeves and a Superdry logo badge on one arm.